The government is once again looking to take control of the Internet, which could truly be the end of privacy and free speech. This would silence websites like Wikileaks and DCLeaks, who they believe to be “a symptom of aggressive assault on civil society and human rights activists.” And at the head of this charge is everybody’s favorite government henchman, George Soros, whose only focus seems to be the collapse of America. If you’ll recall he’s had his hand in quite a few cookie jars lately, first trying to profit on the collapse of Europe and then trying to worm his way into Russian government and ultimately having his organizations banned in the country. 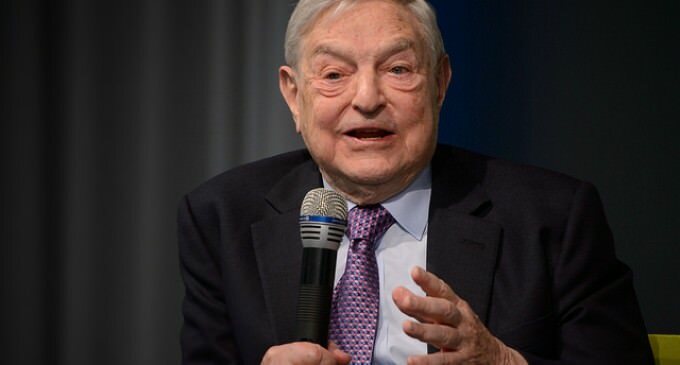 Soros is also thought to be the puppet master behind the Black Lives Matter movement. If shady organizations like Spectre from the James Bond Franchise were real, you can bet that George Soros would be behind them. Now he’s proposing a strategy to silence those who would use the Internet to disagree with liberal policies. This$#%&[email protected]*needs to be charged with being a$#%&[email protected]*collaborator! Keep your hands off the internet.